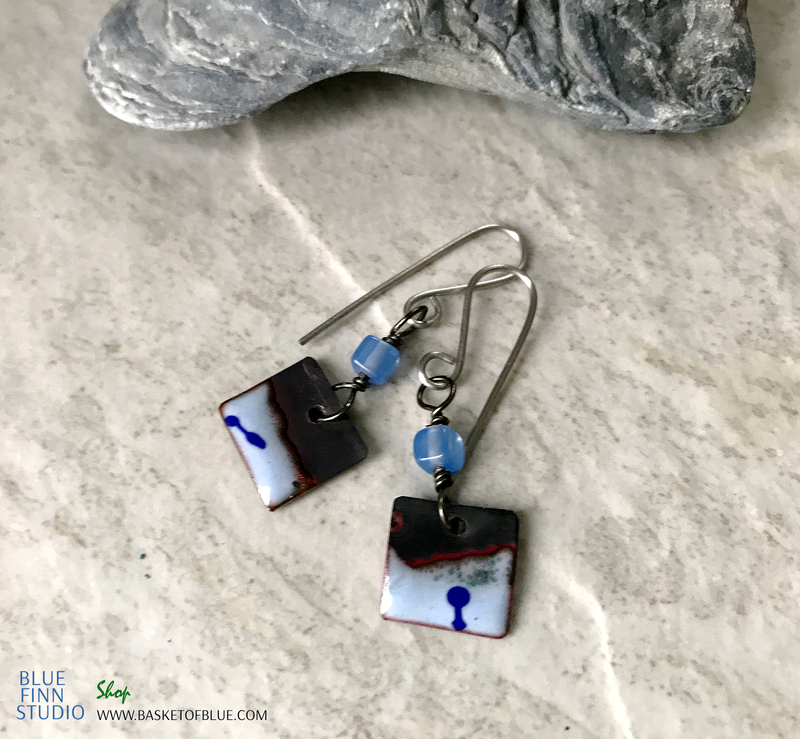 Blue enamel dangle drop earrings, Rustic fire patina with partly enameled copper rectangle dangle with glass bead enhancement. 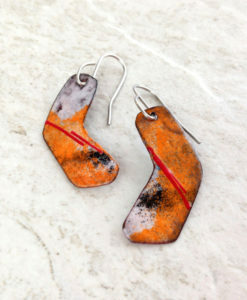 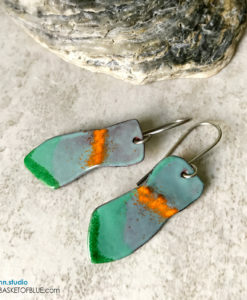 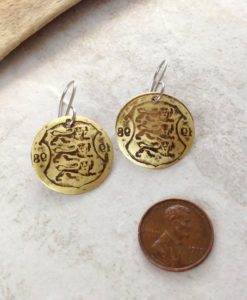 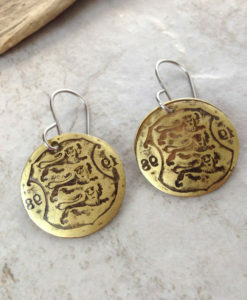 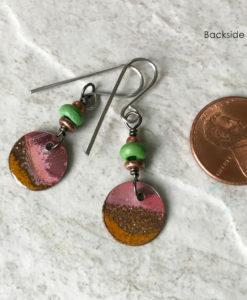 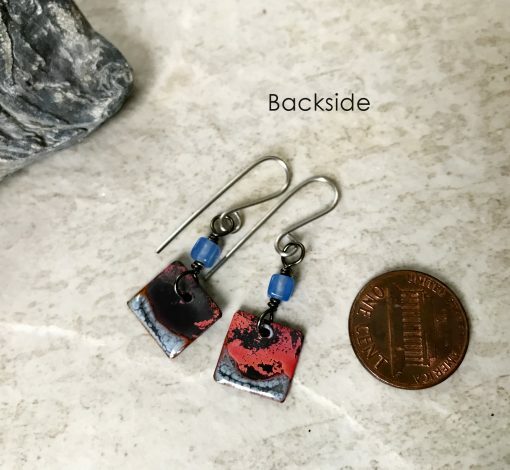 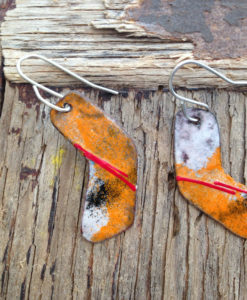 These earrings have a torch enameled copper dangle highlighted with a melted on enamel whisker and great rustic fire patina. 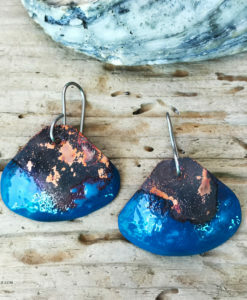 Great unique rustic dangle earrings with all popular color! 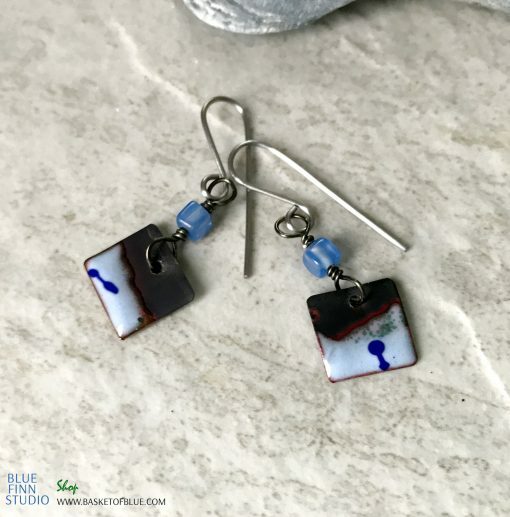 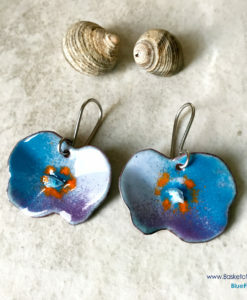 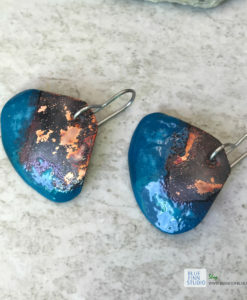 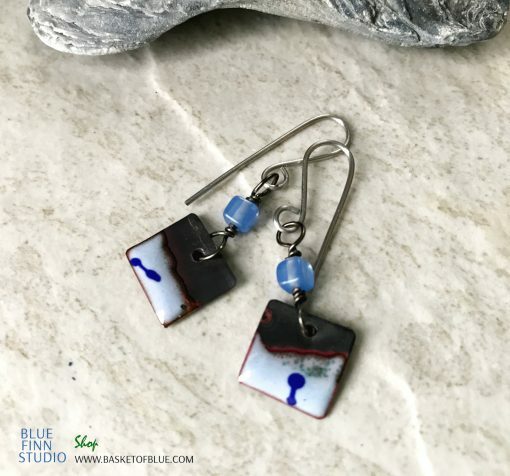 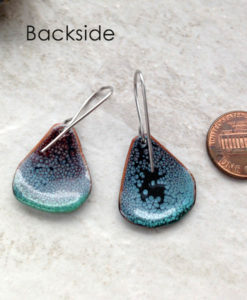 Blue enameled copper earrings, Blue enamel dangle drop earrings, Rustic fire patina in partly enameled copper with glass bead. 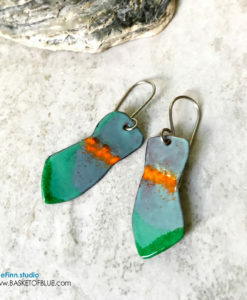 These earrings have a torch enameled copper dangle highlighted with a melted on enamel whisker and great rustic fire patina. 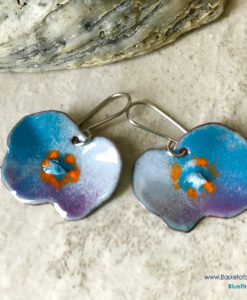 Enhancement bead is light blue glass. 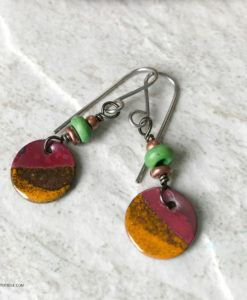 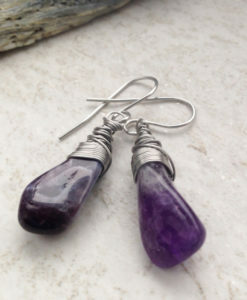 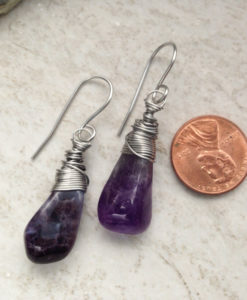 Great unique rustic dangle earrings with all popular color!